Magnificent set of 2 crystal Tea-light holders with Gold accents. 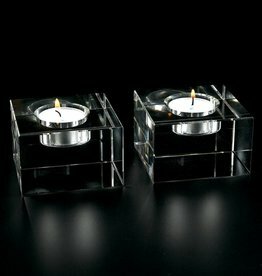 Perfectly designed to fit for tealight candles, with excellent transparency & Flawless polished square shape for a clean, contemporary look. Packaged in a beautiful gift box for easy storage & gifting. Perfect for your candle-lighting setting, guests, and travel. 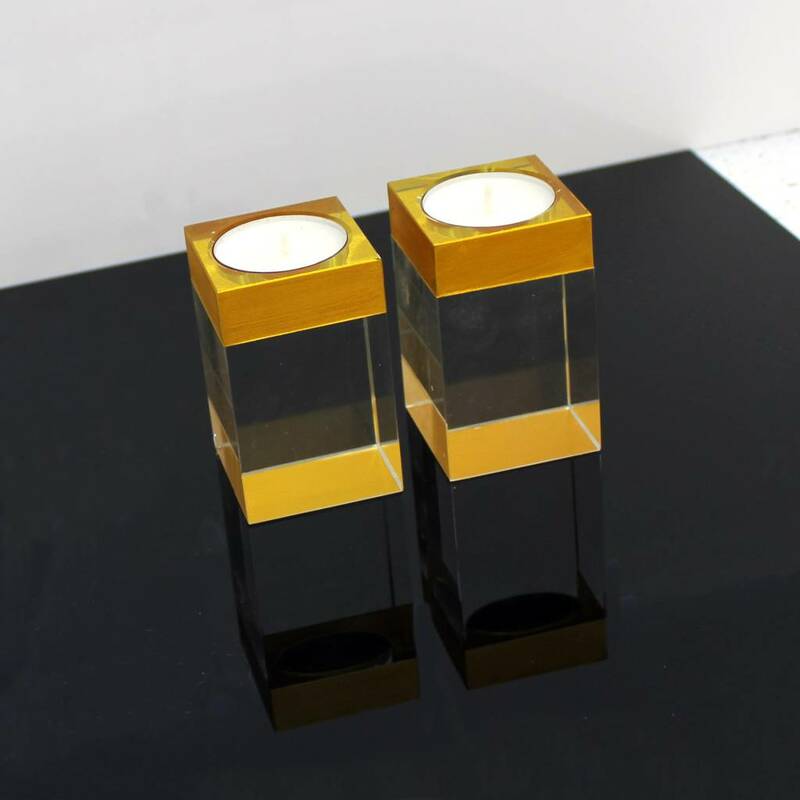 Top-grade crystal, for fire-safe use.